BeyondHeadlines and Mission Bhartiyam teamed up for a unique national level writing competition named “#2Gether4India”. And the last date for the same was earlier 31 January but there is a good news for all those who are interested in participating in the ‘National Writing Contest’ on Communal Harmony under #2Gather4India. We are pleased to inform you that BeyondHeadlines has extended the date from 31 January to 15 February. This decision has been taken in response to requests from our readers. Entries for a compilation of stories on Communal Harmony are invited from people. 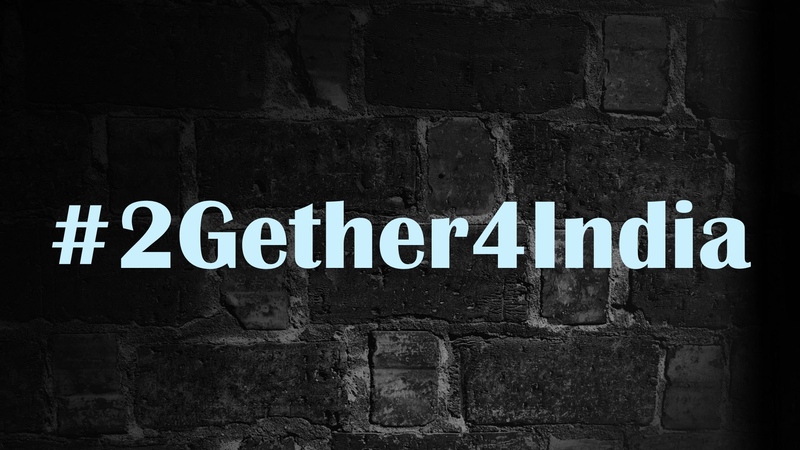 All shortlisted entries would be made published for the campaign #2Gather4India at beyondheadlines.in on ‘World Interfaith Harmony Week’. Selected entries would be considered for the award that will be given at New Delhi along with a discussion on ‘Communal Harmony’ in the presence of distinguished guests. The objective towards the compilation of such stories is to bring stories from common people, particularly by youths. Organisers of the program believe that youths have so many experiences to share and this must come in public domain. Values like love, trust and friendship always existed in society and there are numerous examples even in today’s society where we find that having trust and friendship between people of different faiths/religions is actually common and have its potential to be considered as a tool that can counter the propaganda of negativity and hatred. As a human being we all believe and desire for peace, love and harmony and people at large are good by heart, however, sometimes, there are forces which try to disrupt social harmony and aims to disintegration that creates conflict, hatred, suspicion and violence. Through this move, we would like to provide an opportunity to people to express their sentiments, emotions, views and experiences as when such experiences would join together; this may create a wave where a positive reflection would be coming and then many stereotypes and suspicion would also be broken. —Announcement of three best articles in both languages will be done in the last week of February in New Delhi where distinguished guests, activists, media persons, spiritual leaders would be gathered to send messages of peace and communal harmony. Mission Bhartiyam is National Organization working for Peace & Communal Harmony, Human Rights & Environment since Oct 2008. This organization also aims to promote people to people relations in South Asian countries. Managed and led by youths, Mission Bhartiyam’s activities are mostly based upon developing voluntary spirit among people to work for society. For its contribution to society, the organization has received recognition and awards. INSAAN is an emerging platform for community service, policy research and advocacy. INSAAN works to advance constitutional values of equality of men and women, the dignity of labour, capacity development, empowerment of the underprivileged, transparency & accountability in governance, peaceful coexistence, communal, social and ecological harmony.